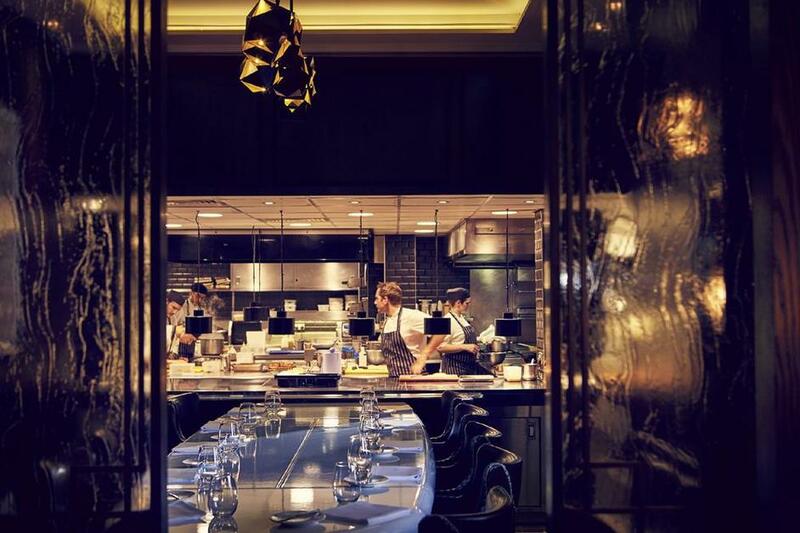 After an extensive refurbishment in 2014, the former Marcus Wareing at The Berkeley reopened as Marcus . The refurbished interiors masterfully reflect and complement the modern, fresh approach that Marcus Wareing has taken across the board with the re-launch of his eponymous Michelin starred restaurant. The 'look' exudes cool sophistication; a carefully considered blend of timeless elegance, clean, classical lines and a refined colour palette provides a fresh, inviting and relaxing backdrop for Marcus and his team to thrill and enchant their guests. Marcus remains at the helm, working closely with Head Chef Mark Froydenlund. The essence of the food has been retained but has been updated. The menus deliver modern European food with a British influence characterised by the finest produce, exacting execution and creative flair. Dining options include a la carte, classic and seasonal tasting menus, a spectacular Chef?s Table for up to 10 guests and The Salon, a private dining room available for groups of up to 16. Marcus - formerly Marcus Wareing at The Berkeley gyms, sporting activities, health & beauty and fitness. The best pubs near London Marcus - formerly Marcus Wareing at The Berkeley. Marcus - formerly Marcus Wareing at The Berkeley clubs, bars, cabaret nights, casinos and interesting nightlife. Where to have your meeting, conference, exhibition, private dining or training course near Marcus - formerly Marcus Wareing at The Berkeley. From cheap budget places to stay to luxury 5 star hotels see our special offers for Marcus - formerly Marcus Wareing at The Berkeley hotels, including London Hilton on Park Lane from 95% off.